A few months ago I wrote about losing some of our chooks, we did our best to reinforce the chook yard but not long after we lost the remaining two chooks plus all of our ducks. Muddy Hubby and his offsider spent a day or so digging a trench and cementing around the chook yard to reinforce it for fox proofness. It has sat idle for months, I haven't been game to replace the chooks for fear of it happening again. I have watched the local poultry sites and kept an ear open for any chooks that could possibly be sacrificial chooks, old girls that don't have much life in front of them, or who are no longer laying. Nothing kind of fit the bill. Then our neighbours let us know they had some ready to cull. They have a flock of about 30 chooks, and their son (he is 6) is seriously getting into breeding and looking at speciality breeds, so he is keen to cull what doesn't suit. So Voila we now have chooks again. I am so grateful for the generosity of our neighbours in giving us some chooks to test it out, so far so good. I am grateful for the fresh eggs we are getting every day. We have made many things that we can eat on our 'Pear Diet', including Meringues and Quiches. I am very grateful for the joy it brings to the Muddy Kids faces each day to visit the chooks and check the eggs, water down the yard to help keep them cool. Lets face it is also beings joy to me to have some feathered friends back in the chook yard. 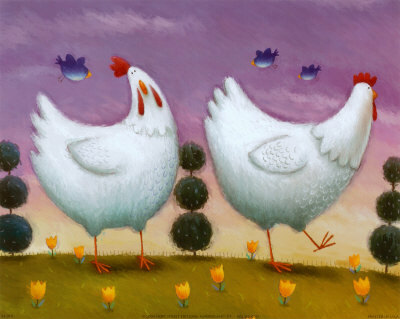 So this week while I am Grateful for Chooks, others in the blogging world are grateful for other things. 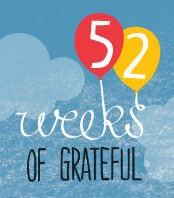 Please pop over to 52 Weeks of Grateful at Village Voices and check it out, Maxabella hosts a great link up every week. there are so many posts on chooks this week on the blogs I read....must be a sign it is finally time for me to stop thinking about them and actually sort it out. Hmmmmm fresh eggs! Oh aren't chooks such a joy, I love them. I can't wait until we can have some. Good luck with the foxes. How wonderful - a farm is not a farm without the chooks.